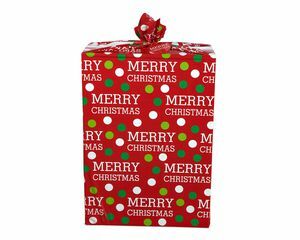 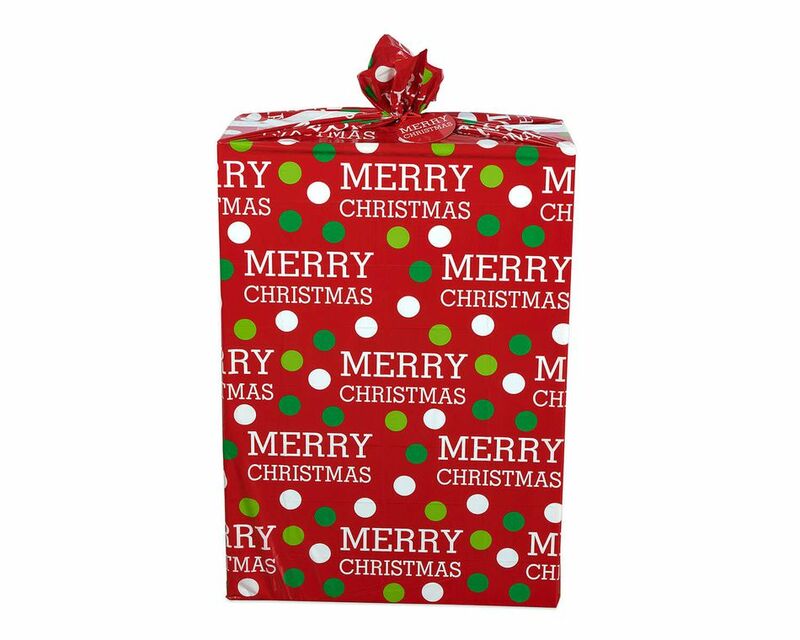 Wrap your super-sized Christmas gift in a fun and easy way! This bright and colorful plastic super jumbo gift bag features a simple dot and lettering design anyone will love, plus a coordinating gift tag and a convenient cord tie closure. 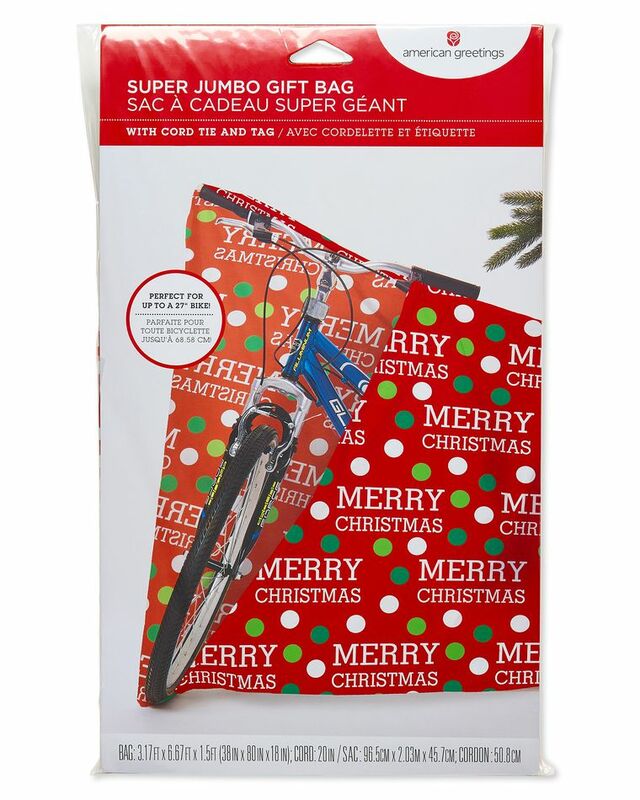 The gift bag is large enough to wrap up to a 27-inch bicycle, a dollhouse, TVs, and more. 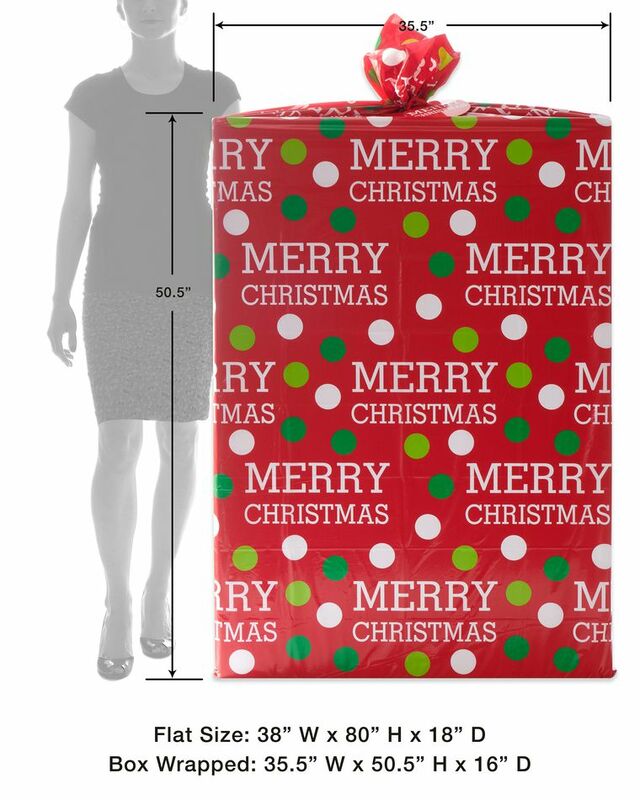 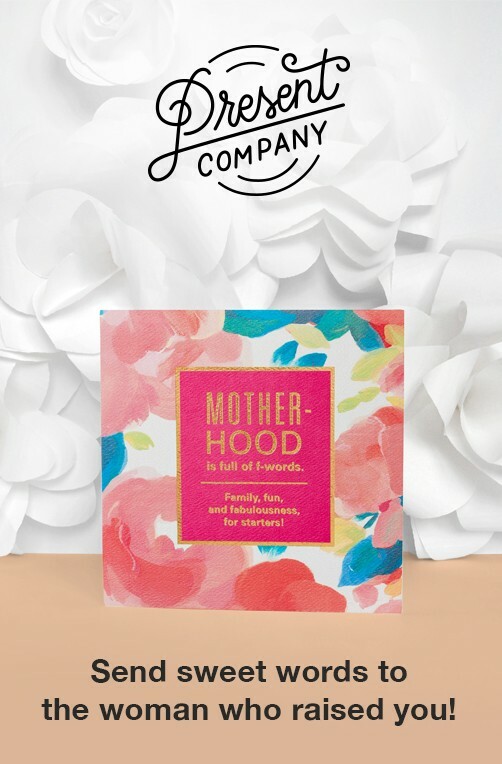 Perfect for large and hard-to-wrap Christmas gifts! 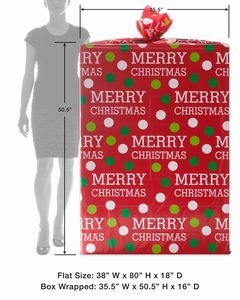 Bag measures 3.17 ft. x 1.08 ft. x 6.67 ft.